Marine hydrokinetic energy refers to several developing technologies that are in various stages of research and development, all of which tap into the kinetic potential and movement of seawater to generate electricity. Hydrokinetic energy is comprised of wave, tidal, and current energy. The untapped potential of hydrokinetic energy offshore in the U.S. is enough to power nearly 108 million households each year. In other words, if all of the offshore hydrokinetic energy was used, it could power 94% of the households that currently exist in the U.S. regardless of the loss of energy due to inefficiencies in the technology used to harness the waters. Wave energy uses Wave Energy Converters (WECs) to harness the potential of waves created when wind blows at the surface of the ocean. The amount of convertible energy depends on wind speed, duration, and fetch. The idea has been around seriously and academically since the 1970’s, and currently, pre-commercial installed prototypes do exist. 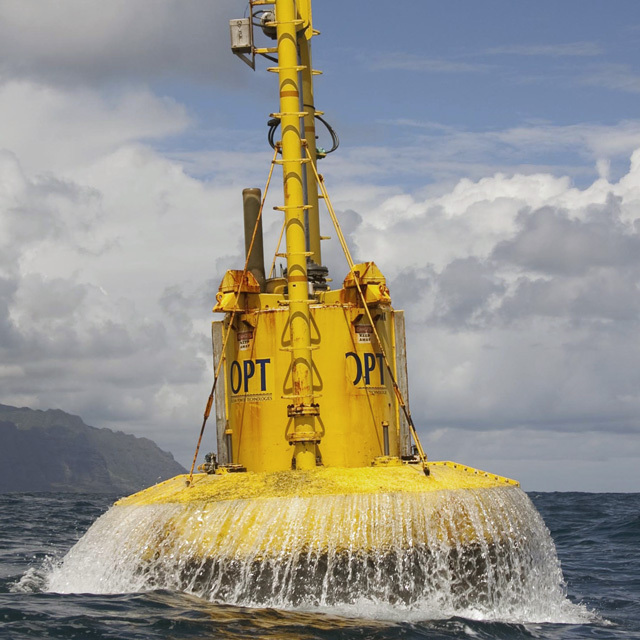 Along with tidal stream technologies, wave energy is thought to have the highest commercial potential. Major tech wave technology developers in the U.S. include Atargis Energy, Columbia Power Technologies, Ecomerit Technologies, Oscilla Power Inc., and Resolute Marine Energy. 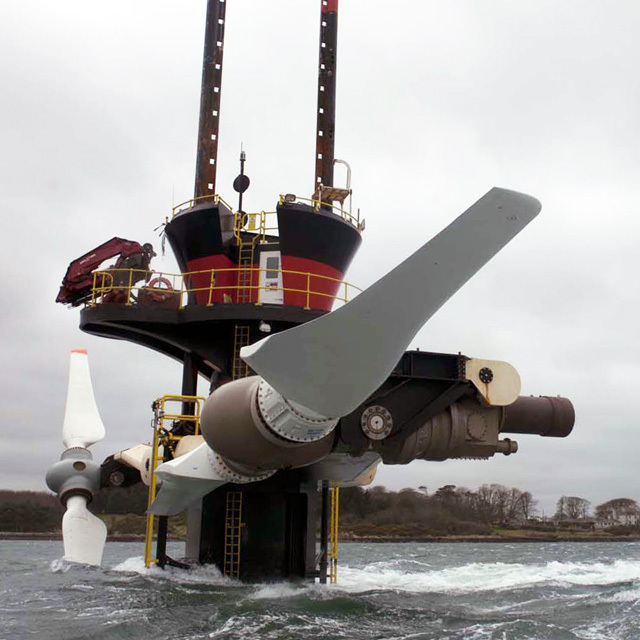 Tidal energy captures the potential energy in the daily variation in the tides. This energy source can be further broken down into tidal stream and tidal range. Tidal stream captures the potential hydrokinetic energy that exists from the horizontal ebb and flow of the tides. Tidal range captures the hydrokinetic energy that exists from the vertical rise and fall of the water column due to tides. 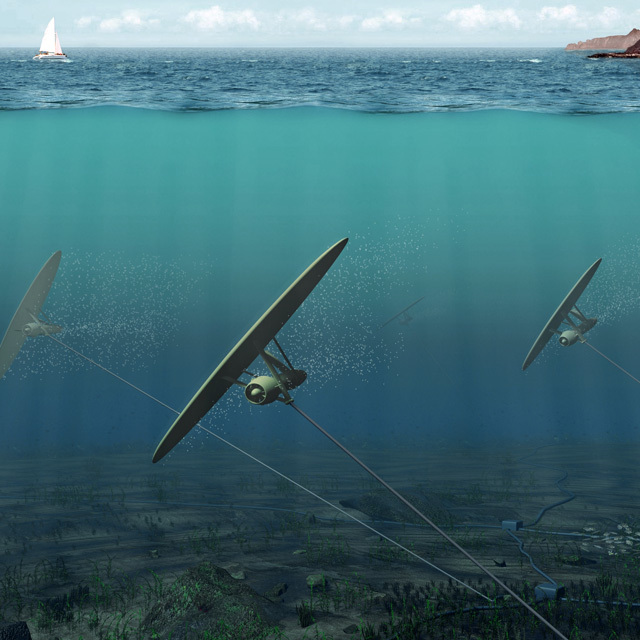 Tidal stream, along with wave energy, is thought to have the highest commercial potential. There are major tidal streams along the coastline of every continent, giving it global viability, and has been garnering increasing interest from commercial operators and utilities. Tidal range is the only currently mature hydrokinetic energy source, with two existing large-scale projects in France and South Korea. However, tidal range also has more barriers to development, including limited potential project locations, high capital cost, and more environmental consequences than have been demonstrated by other alternative energy types. Current energy taps in to the conveyor belt of global ocean currents to generate electricity. This energy source is different from tidal range energy in that these currents are unidirectional, whereas tidal range captures temporary movement that can flow in two directions. Open ocean currents have the benefit of being a constant, reliable energy source, however, it tends to have slower velocities. If better technologies are developed that that successfully harness these slower velocities, current energy has potential for scaled up projects globally. Search our database for further information on hydrokinetic energy potential, projects, and funding. Check back later for additional information, including potential environmental impacts.